I have bought my first GPS finally and being a KLR owner i went cheap $65 "media tek" and $39 for the bits and bobs to mount to the bars . I will try softer foam in the mount . Would putting the gps in the top pocket of a tank bag overheat it ? Tank bag should be fine, shouldn't be any hotter than it would be on a car windscreen, is it a water/dust proof GPS (eg) designed for a motorcycle/outdoor use?? Cool it will give me a reason to use the tank bag and no its not water or dust proof but it was cheap and it helped me get out of the city today so thats a win . Tank bag is probably your best position, otherwise it won't last being out in the elements and vibration will eventually kill it. If you can isolate the vibration Laurie this might be a nice alternative. Not sure of the brand but I'm sure it wouldn't be hard to track down. 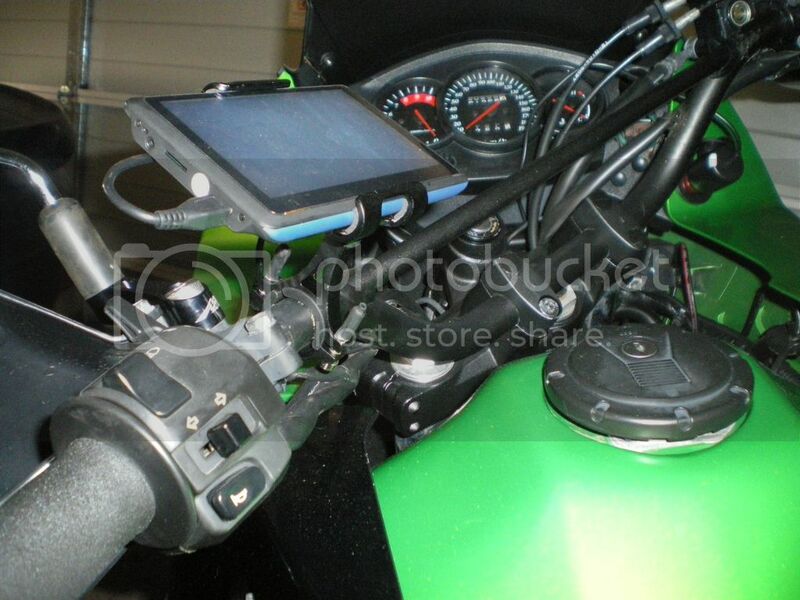 OK I am about to connect my GPS to my 06 12GS, my question is there somewhere in the bike I can pick up power from so it turns off when I turn the ignition off on my GS or does it have to be connected direct to the battery?? It's a Garmin Zumo 396LMT-S if that helps.